One of my wife’s coworkers brought her a big basket of ripe figs. When I saw them, I went right to work looking for a fig cookie recipe. Most are for filled cookies, like Fig Newtons. They usually call for dried figs. I had to look for a while to find one that called for fresh figs and looked like something I would like. 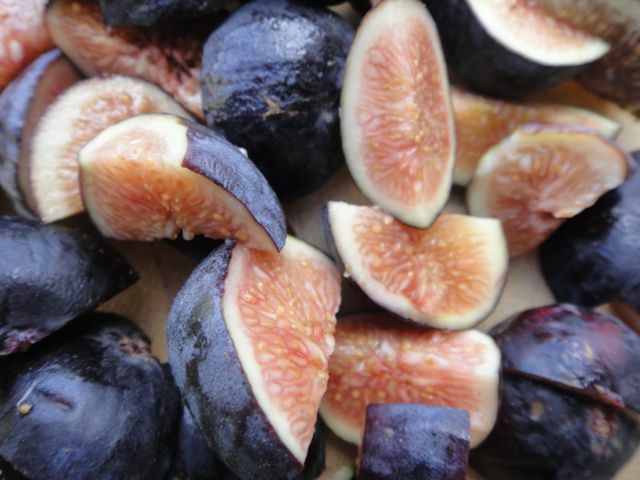 These have cloves in them, which I found in many of the fig cookie recipes. The fig and clove combine for a very interesting flavor. They are soft and cake-like. 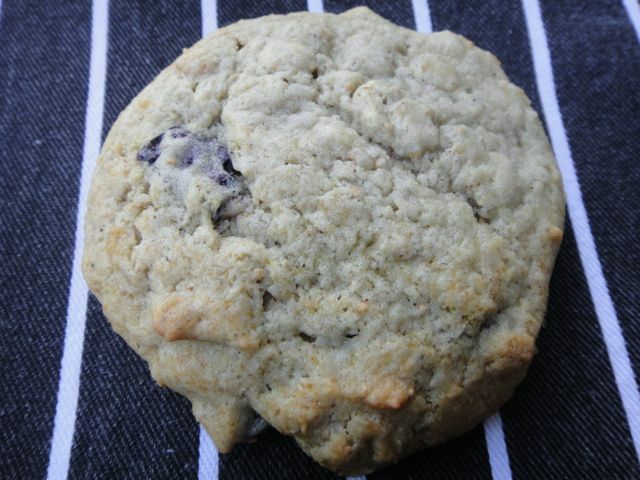 Combine flour, oatmeal, salt, cloves, baking powder and baking soda. Set aside. Wash figs, cut off stems, cut into quarters. 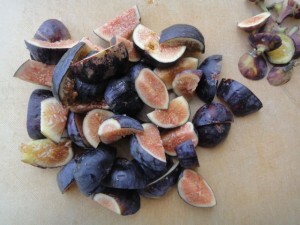 Placing figs in a mixing bowl, along with the sugar. Shake to coat well. Mix in egg, butter and shortening. Stir dry ingredients into the butter mixture. Drop dough in 2 tablespoon balls onto a greased or parchment-lined baking sheet. Bake 12 to 15 minutes, until the edges turn brown. Remove to cool.